I took it and literally felt like I had woken up from being numb for years. I could work faster and better than ever before. Its truely given me a new sense of being. How long it will last I dont know but its very worth it. Why didnt someone tell me about this sooner. Ive suffered terrible anxiety for years, now thank god its abating as if by magic. I know longer over think things and Im sure its down to taking the CBD oils as I didn't add anything else. Was a little sceptical at first but its truely been so helpful. This is a great product, have looked at the Receptra brand and compared to others available in the UK and this is the highest quality and actually at a better price than all the others. Many places try to confuse you with percentages and numbers. Do your research and it should lead you back here. I did and Im very please I did. Our wonderful Labrador Sally has arthritus and since taking the Pet CBD Oil its like she's gained 5 years. Her back legs were going but she's now moving around and even jumping up at 13 years old. We thought it was close to her time but this is an incredible result and obviously way cheaper than the massive vet bills. Great product and people that really care. You wont be disappointed. So pleased, this has helped me like nothing else ive ever tried before, thank you. 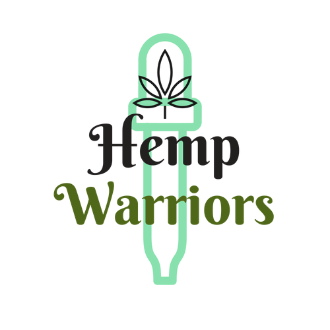 My life has started again, Thank you Hemp Warriors I'm now living instead of existing. Just get it, 5 stars all the way. Started on Prime and soon moved up to the Pro which I now take for every day use. It eases off my aches and pains plus gives me the energy to cope with a busy work life balance.